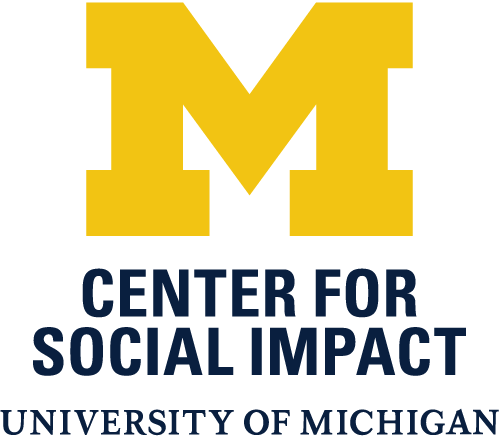 Every winter semester, the University of Michigan’s Center for Social Impact partners with a Detroit-based nonprofit on a project that helps the partner organization tackle pressing strategic roadblocks. Now in its third year, the Social Impact Challenge focuses this time around on the Police Athletic League’s (PAL) Kids at the Corner redevelopment campaign to transform the former home field of the Detroit Tigers into a youth sports center. As part of the Social Impact Challenge, undergraduate and graduate students from a wide variety of disciplines break into teams and study the problem at hand—in this case, how the community can best utilize the new playfield while PAL preserves the site’s history and makes enough money to operate the center—before brainstorming solutions. That process started last month and will conclude on Feb. 9, when the student teams that have survived previous judging rounds will pitch their ideas to a room full of experts, community leaders, and the general public. The winning Social Impact Challenge team gets $2,500 and the chance to put its proposed solutions in motion. (PAL, which serves 12,000 kids each year, is also working with the Old Tiger Stadium Conservancy, the city of Detroit, the Skillman Foundation, and other philanthropic groups to bring the youth athletic center to life.) Some of the U-M students will score Social Impact Center-sponsored internships to continue their work over the summer. Just this week, PAL announced it had raised enough money to go forward with its plans on the corner of Michigan and Trumbull, and the organization will break ground on the youth sports facility and headquarters in April. Some of the ideas proposed so far by Social Impact Challenge participants to make the PAL athletic complex more profitable —and Moudgil emphasized that none of the suggestions have been finalized—include using virtual reality technologies to integrate old audio of beloved Tigers announcer Ernie Harwell into videos, updating PAL’s IT infrastructure, and creating a “hall of heroes” celebrating the accomplishments of star athletes who are also Detroit natives.